We tend to not consider eyebrows a big deal because everyone has them and we’re used to seeing them on people’s faces. As such, nothing prepares you for the shock of seeing celebrities without eyebrows. You’re probably wondering why anyone would make their brows disappear. Well, shaving or dyeing brows to make them look invisible has been an on and off trend in Hollywood for years. Many celebrities have shunned the bushy eyebrows and have gone the other way, erasing their eyebrows instead of grooming them. Take away eyebrows from anyone and they are likely to look downright creepy. 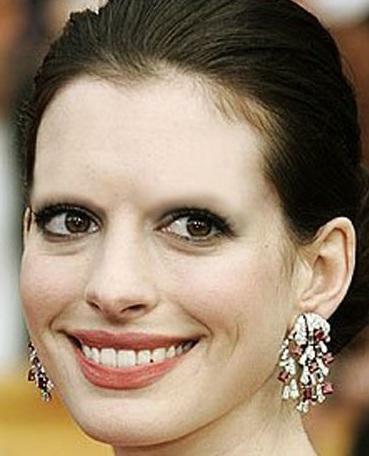 Here’s a list of 10 celebrities without eyebrows that made us cringe. Some of these famous people are braver than most of us by deliberately choosing to leave a bald spot in place of their brows. Others are caught up in the fooling around of some photoshopping individuals who have found purpose in creating pictures of celebrities without eyebrows. Kim has the kind of looks that women all over the world go to great lengths to replicate, she has always had the cameras fighting for her attention whenever she steps out in public. However, no one can be completely perfect one hundred percent of the time, and the time she bleached her eyebrows blonde to make them disappear for a photoshoot is definitely proof of that. She posed next to Cara Delevingne, the woman with the most envied full brows in Hollywood, and the contrast made her look even more alien-like and chilling. Kim is known for being super deliberate about her looks, so it was both surprising and uncomfortable to see her take a huge risk like going browless. It was such a waste of great eyebrows. We got a sneak peek into how she’d look if she turned into a vampire. It’s just not a look that garnered a lot of approval. Fans and paparazzi alike were certainly glad when her brows filled back in their natural color. The frontwoman of the band Die Antwoord looks like something out of a horror movie set with her bleached brows and eyelashes. Going without eyebrows that way made it seem like her eyes had been plucked out and she was staring at you through empty eye sockets. The natural instinct is to disapprove. However, we can’t go too hard on her because it’s all part of her brand, she has been shaving off her eyebrows or dyeing them long before she came into the limelight and might be one of the celebrities responsible for popularising the fad. If creepy and extraterrestrial feel were what she was going for, then it worked. The black contact lenses she wears religiously also contributes to the startling, mildly off-putting appearance. Two things are certain, Yolandi does not care about anyone’s opinions on her looks and, she one of the celebrities without eyebrows who haven’t failed to make us cringe. This comedian has tried a number of weird looks over the years, but nothing quite as off-putting as the time he went without eyebrows. The bald spot where his brows should be made us think he looked stupid, or like he was about to do something stupid, which we can all agree is not the best way to present oneself. The look was quite shocking because Russell is known for sporting a full beard, mustache, and very bushy eyebrows. Without his eyebrows, he looked completely different, as though he was a failed attempt to craft a scarecrow that looked like him. It’s not a look we appreciated seeing. So we were incredibly relieved when it was discovered to be the work of Photoshop. Whew! Justin is one of those celebrities who has frequently experimented with their looks, trying on different styles, ridiculous or praiseworthy. So when pictures of the Love Yourself crooner without eyebrows appeared on the internet it shocked us to our core. If anything, he looked ridiculous and slightly deranged. Admittedly, he’s a pretty bloke and his handsomeness will always play in his favor, but the no brows look made his face look eerie, and we all cringed. Thankfully, he hadn’t actually decided it was a good idea to adopt the browless trend and shave off his eyebrows, it was just pranksters messing with us. Still, the photoshopped images went viral, and we are forced to remember it every time we see the young pop star looking pretty neat and prim. He even managed to pull off growing out his hair to be really long and has maintained his reputation as an international heartthrob. We hope he never decides going without brows are a great idea because there is only so much that our corneas can bear. Meanwhile, the guys who messed with his pictures, editing-off his eyebrows has forever inked Bieber’s name on several lists of celebrities without eyebrows. Apparently, people prefer believing it’s one of the crazy things the Canadian singer-songwriter has ever done. For obvious reasons, Lady Gaga is easily one of the entertainers that come to mind when you think of celebrities without eyebrows. 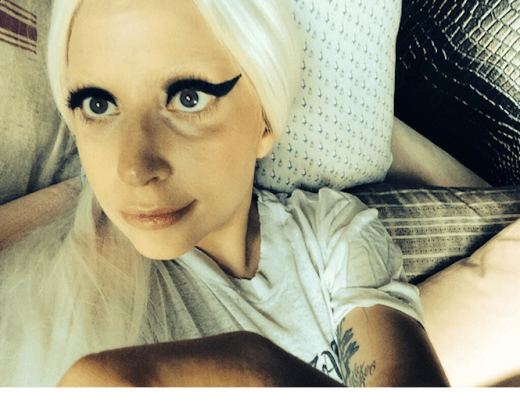 Gaga has been known to push boundaries and make daring style and fashion decisions, so seeing her without eyebrows comes as no surprise. In fact, it is one of the least jaw-dropping things she has done, and it wasn’t exactly a hit. The superstar admits that her daily beauty ritual is not complete until she dyes or bleaches her eyebrows. According to her, there is a very practical reason for this decision – it is easier to create whatever brows she wants on a blank canvas than if she maintained her natural brows. Gaga has the craziest eyebrow game in the industry and is constantly switching it up. In fact, she has tried on over 30 different eyebrow styles, including brows shaped like shoes, triple brows, bejeweled brows, multicolor and mismatched brows. If she’s ever auditioning for the role of an eerie and ghostly character, the ghastliness of her looks as inspired by the way she wears her eyebrows will definitely score her major points. Cara went from having thick, bushy eyebrows that were the envy of all of Hollywood to sporting the look of a startled ghost on the runway without her eyebrows. Seriously, sales for tweezers probably dropped because everyone quit plucking their eyebrows hoping they would grow to be full and bushy like the ones the supermodel rocked. Making her eyebrows invisible was an ill-advised move, and while it probably made some kind of statement in the fashion industry, the rest of us were shaking our heads in disapproval. When pictures of her walking the 2015 runway for Givenchy’s spring collection with little to no eyebrows surfaced on the internet, a lot of people were filled with outrage, and rightly so. Her eyebrows are one of Hollywood’s most treasured items. We wanted the full, perfect eyebrows or nothing. The rule clearly states that you shouldn’t try to fix what’s not broken. Cara failed to follow this and it earned her a spot among the celebrities without eyebrows who made us cringe. It’s hard not to love this adorably stunning fashion model on any day, but whenever she makes her eyebrows disappear we are forced to wonder how elves cannot exist when she so clearly resembles a beautiful one. The first time she shaved off her eyebrows was when she mistakenly plucked all of them as a teenager. They took a long time to grow back and she admits that it is probably the biggest fashion mistake she has ever made and still regrets it till today. She also said that she hates that designers are infatuated with the invisible brow trend because it has meant bleaching her brows so much that she worries they will soon start falling out. We cannot help but be terrified for her too. 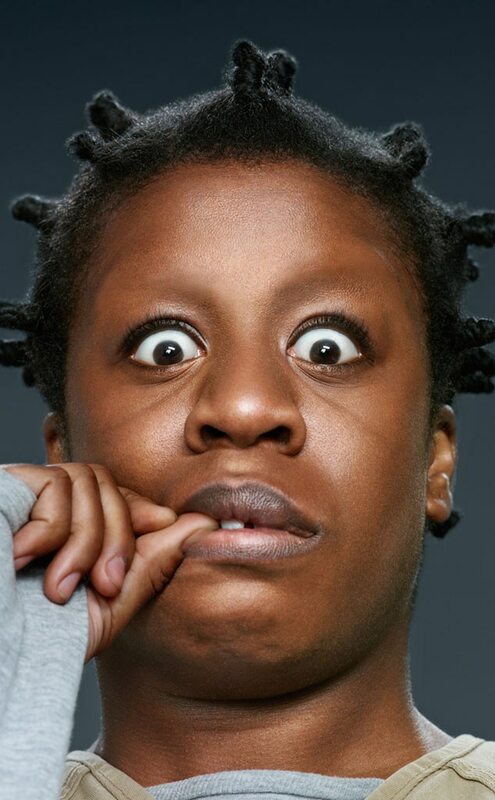 The Orange Is the New Black star fondly called Crazy Eyes managed to look even crazier without her brows, and it left a bad taste in our mouths. Uzo looked insane and scary babyish. One can easily be forgiven for thinking she was possessed or on the edge of losing her mind, very much like her character on Orange Is the New Black. All in all, the look was cringe-worthy. Thankfully, the actress doesn’t actually shave her brows in real life. She prides herself on her good looks, always arriving on the red carpet looking glamorous in bold colors. There is nothing plain or unsavory about this stunning celebrity, her black is not cracking in any way, and the eyebrowless nightmare is not real. What happened to Justin Bieber was what it was all about. 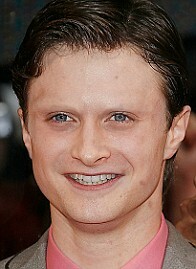 Pictures of the Harry Potter actor without eyebrows made us recoil and question everything we knew about looks. Admittedly, they were photoshopped, but that did nothing to reduce the jarring effect. In reality, the young actor swears that he will never sit at a salon, pluck or do anything to harm his bushy brows, and we totally support his decision. This beloved actress looks weird browless. If you stared long enough, she starts to look reptilian, like how you imagine a snake would be if you gave it a human face. Certainly not her best look, she’s better off leaving her brows exactly where they are. We love the incredible actress, but it is hard to say if our adoration can survive her going without brows for real. We have seen her in a shaved head, and it wasn’t at all pretty, now we know it can get so much worse. Anne is just one of the victims of the guys who takes joy in creating and distributing pictures of celebrities without eyebrows.